Written by Linda Frederiksen and Sue F. Phelps, Literature Reviews for Education and Nursing Graduate Students teaches students how to prepare better literature reviews that are vital to their research. Read the book for free on the web, or download it in other formats from the book’s homepage! Literature Reviews for Education and Nursing Graduate Students is the third open textbook produced with support from the Rebus Community to be released! The book has been peer-reviewed by seven subject experts, and is now available for adoption and use in courses or as a library resource. If you’d like to adopt the book, please let us know. This book helps students recognize the significant role the literature review plays in the research process and prepare them for the work that goes into writing one. Developed for new graduate students and novice researchers just entering into the work of their chosen discipline, each of the book’s eight chapters covers a component of the literature review process. Students will learn how to form a research question, search existing literature, synthesize results, and write the review. Literature Reviews for Education and Nursing Graduate Students also contains examples, checklists, supplementary materials, and additional resources. 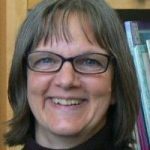 Authors Linda Frederiksen and Sue F. Phelps are both librarians at Washington State University, Vancouver, with many years’ experience guiding students through research and writing assignments. Linda is active in local, regional and national organizations, projects and initiatives advancing open educational resources. 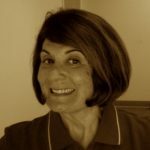 Sue’s research interests include information literacy, accessibility of learning materials for students who use adaptive technology, diversity and equity in higher education, and evidence-based practice in the health sciences. Both Linda and Sue are committed to equitable access to information. The Rebus Community worked with the authors throughout the writing process, advising on formatting, licensing, images and other questions that arose. We also recruited reviewers and coordinated the peer review process for the book, and were fortunate to find a wonderful group of reviewers who generously shared their expertise, giving chapter-level feedback. You can read more about the reviewers and the review process in the book’s Review Statement. Rebus also assisted the authors in formatting, running accessibility checks, and the other final stages of publishing and are very excited to be celebrating the first release! Literature Reviews for Education and Nursing Graduate Students can be used in graduate-level research methods courses or by librarians preparing subject guides and resources. If you’re interested in adopting the book, please let us know! We would also love to hear from anyone interested in adapting this resource for another discipline. You can always reach us on the Rebus Community forum or at contact@rebus.community.